Whether you are looking for a float trip on the Upper Delaware for large wild browns and rainbows or for smallmouth bass from the Delaware Water Gap to Easton, I know the sections of border water that produce memorable fish. 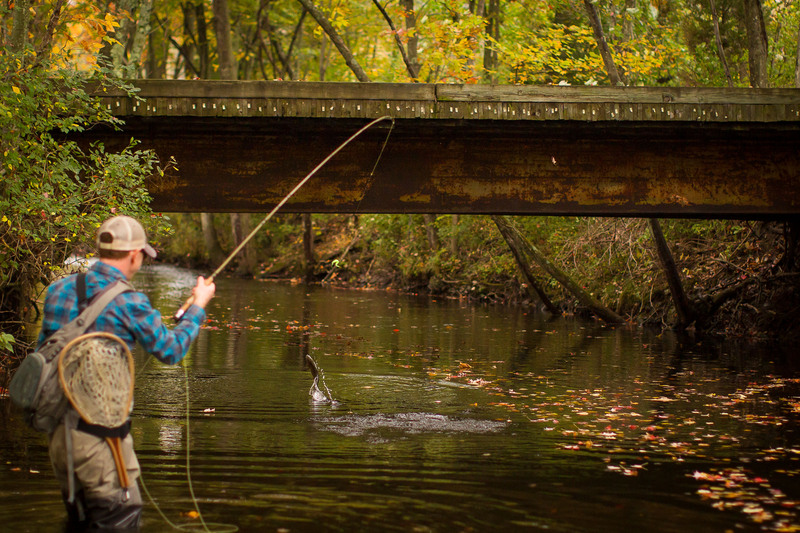 The Delaware River offers a wide variety of fishing conditions from wading long, glassy pools to fishing fast pockets and riffles. The Upper Delaware trout have a reputation for being picky, but having a good guide and some instruction on how to entice them can really help an angler have a great day and hook the fish of a lifetime The large wild trout of the Delaware do not come easy, but are measured in pounds not inches. Catching a few really nice fish on difficult drifts is what the game is all about. 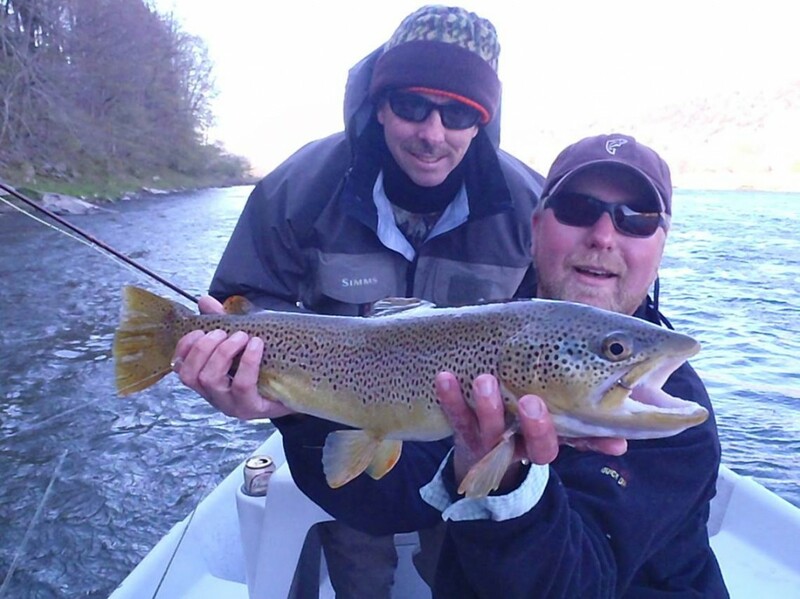 The trout fishery on the Upper Delaware is year round because of the cold water releases from the Cannonsville Reservoir. The best fishing is from mid-April to mid-June when the hatches are at their peak. For the summer and fall we monitor the water levels to determine if the river is floatable with the diftboats and what the water temperatures are on the West Branch and the Main Stem of the river. Cold water, good flows, and great hatches equal great fishing. Smallmouth fishing from the Delaware Water Gap to the Easton Area can be great through the summer months on the river. 30 to 40 fish days are common in this section of the Delaware and fish eagerly take flies and lures from June to October.